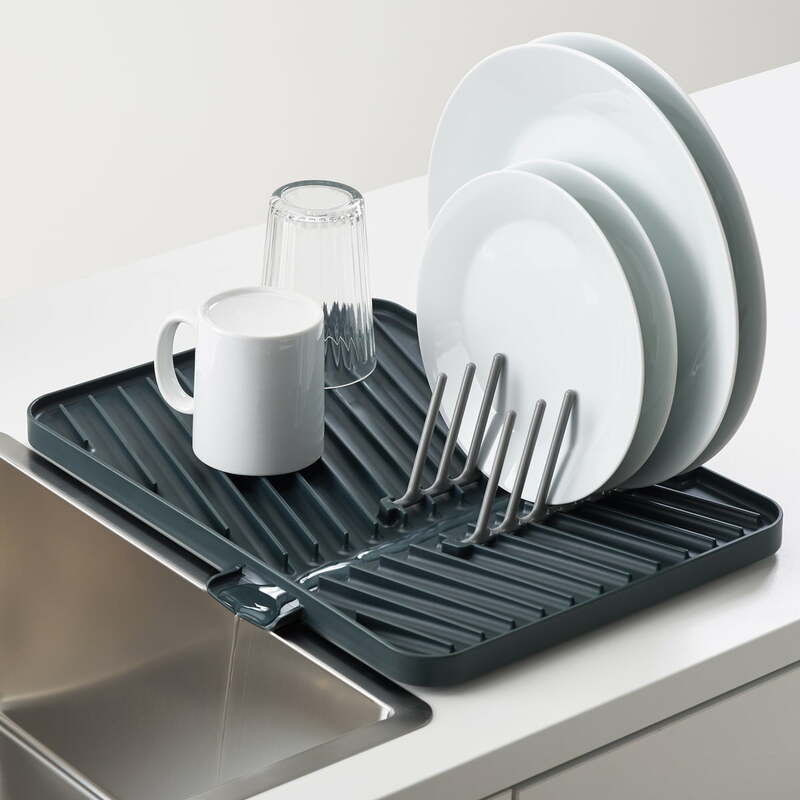 Flip-Up by Joseph Joseph is a practical and foldable drainer for drying 6 dinner plates as well as a variety of cups, glasses and bowls. 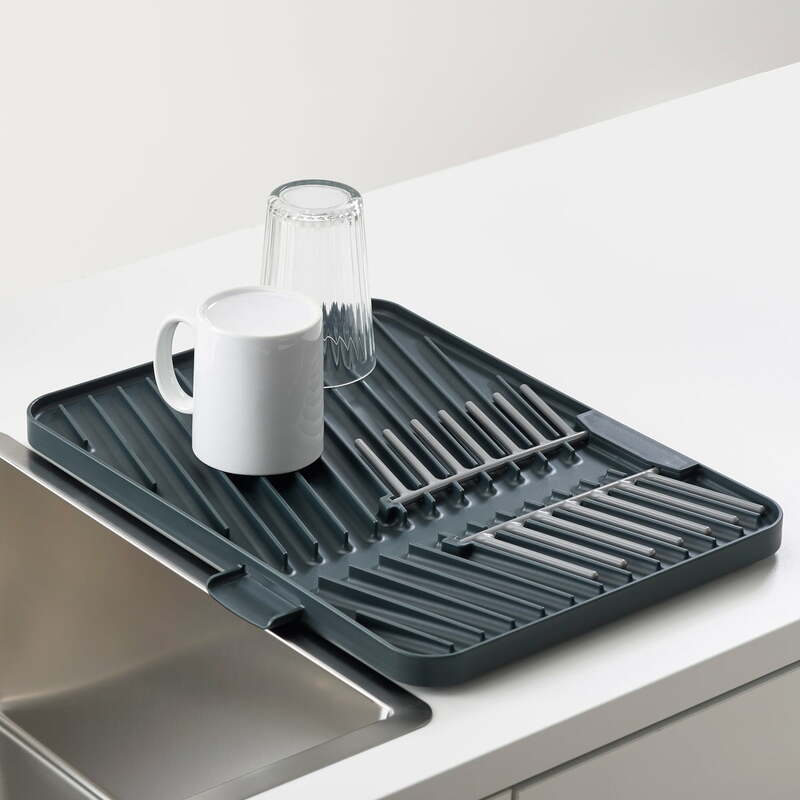 After use it can easily be folded up and stowed compactly. 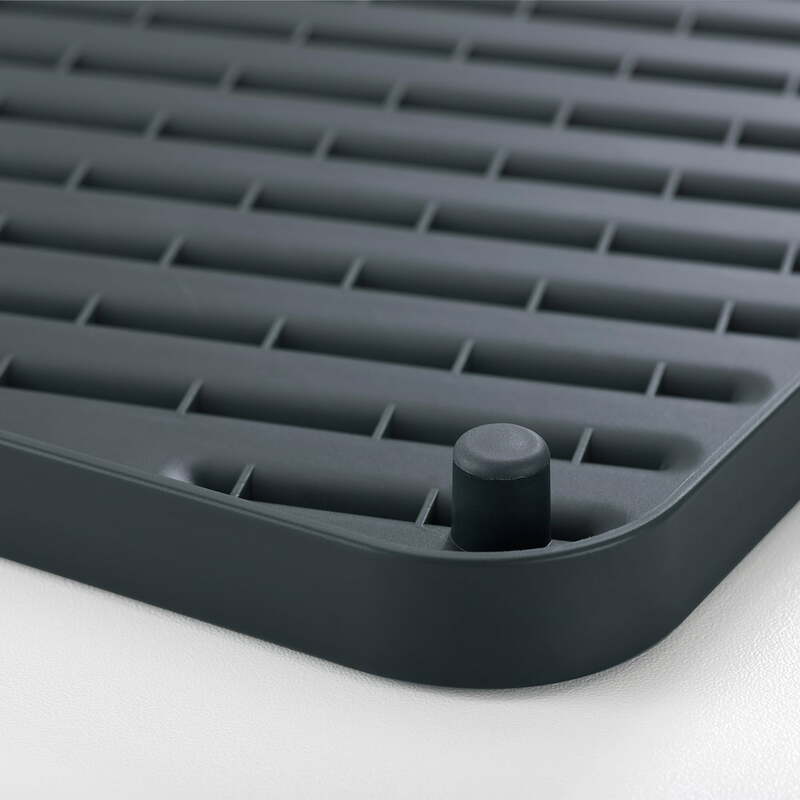 A ribbed surface allows water to run off. 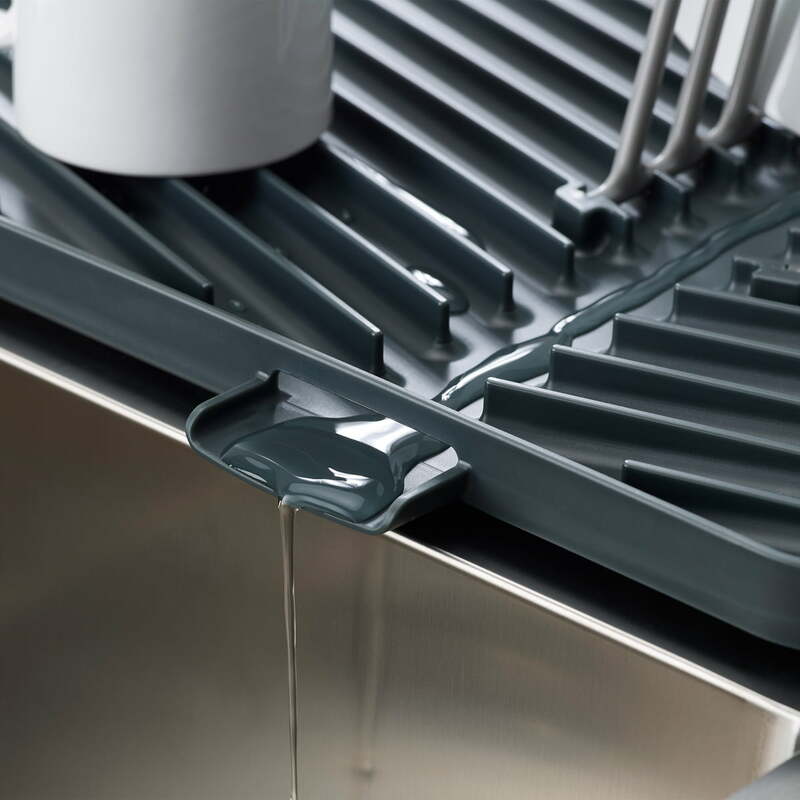 Placed directly next to the sink, the bevelled bottom allows any remaining water to be drained directly into the sink via an integrated spout. 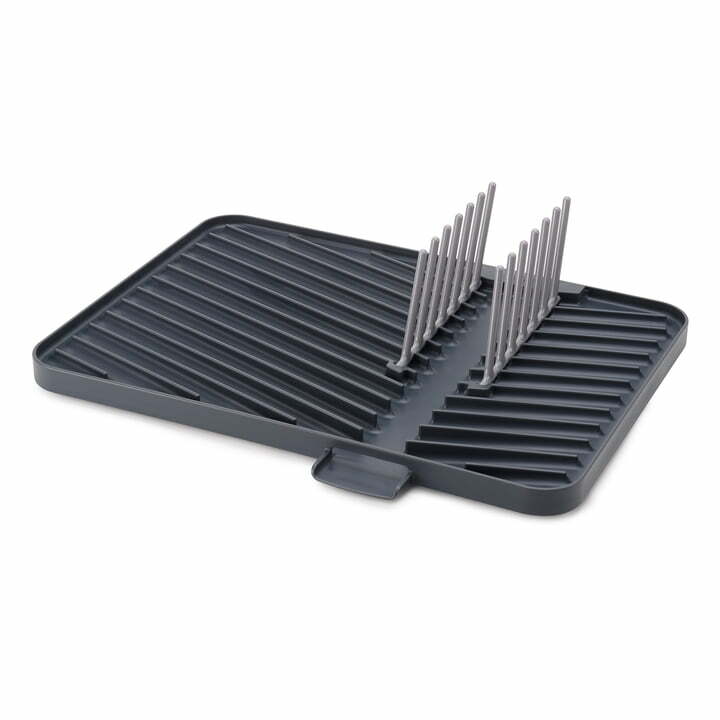 Non-slip feet ensure a secure stand.